Three audio tracks of technology powerful enough to boost your confidence, enthusiasm, and joy in just the first 20 minutes, with effects that last for hours. This featured recording is Digital Euphoria. The technology contained in this new release is such that we believe your mood, confidence, enthusiasm and positive outlook will be dramatically catapulted in just the first 20 minutes. Shift your mood toward dramatically increased enthusiasm, confidence and joy in as little as 20 minutes. Experience the brainwave patterns and energetic signatures associated with beta-endorphins, serotonin and anandamide - the energies of bliss. Use this high-energy release before and during your workouts to give you a tangible, powerful edge. Use this program to complement your work with Profound Meditation Program by enjoying the high-energy, high-focus, high-bliss states facilitated with this recording. Move out of low-energy states with ease and grace. Let go of negativity easily. Experience a profound, long-lasting, ultra-healthy, DRUG-FREE HIGH! Enjoy increased productivity and energy. Be more naturally warm and outgoing towards others. Get "dialed in" for peak performance. Optimize your day with just one 20-minute session. Digital Euphoria is such a gift. The tracks feel magical and atmospheric, deeply mystical. During final exams, I use it for study breaks, to disengage, rest my mind and recover my ability to focus. It works beautifully. I didn't want to take the headphones off! I feel Digital Euphoria in my body as if I had drank a glass of cold water. They have a refreshing effect. Thanks! While listening in "meditative way" (just listening) I could feel a chi rush in arms, legs and abdomen which felt identical to having acupuncture treatments. I have also experienced much more focused strength training sessions achieving both more repetitions and shorter workout time. ...Pleasant effects all day, with high productivity in work and remaining motivated and energised. During the 20 minute session I noted tingling in my feet. 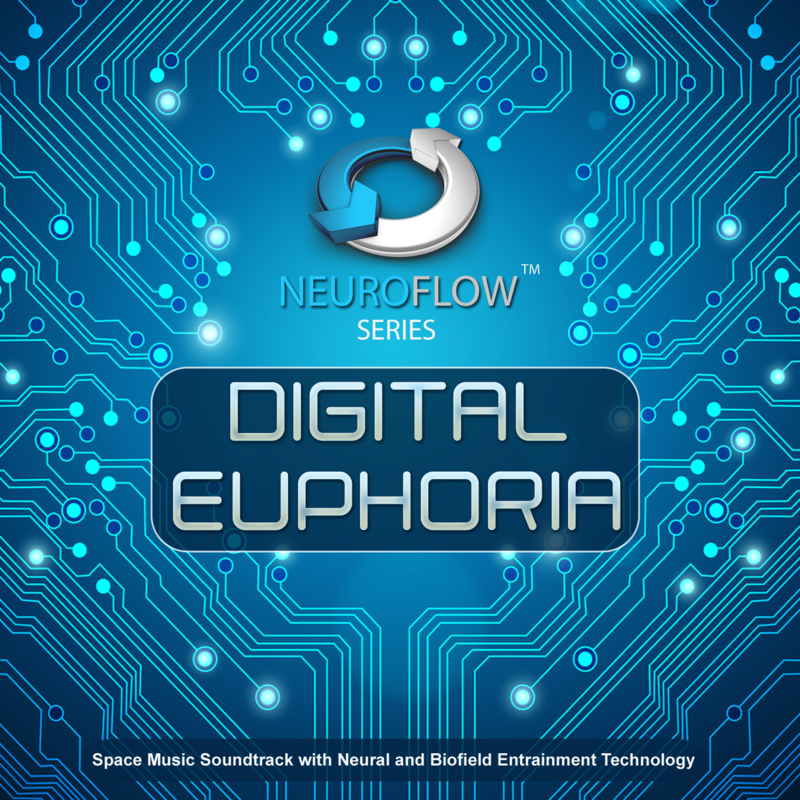 NeuroFlowTM is a series of releases from iAwake Technologies representing an exciting new breakthrough in neural and biofield entrainment technology. Though the Profound Meditation Program comprises the basis and main focus for the meditation practices we recommend, this new series will perfectly complement your work with PMP. The focus of this series is to facilitate transformative flow-states and help you flourish, grow and evolve in today’s turbulent times. An exchange between John Dupuy and Claire, who reports a powerful non-dual experience with Digital Euphoria . . .
Claire: Hi John, it is Claire. I have been doing this for about 6 weeks and I find it really helpful. I had been doing that 40/20 split that you talk about and then I downloaded the Euphoria and the first day I did the Euphoria and I noticed a certain peace, a focus, but the next day I did the Deeper Euphoria and I went to a place of Profound nothingness - I have had it a few times on my own but I really felt a little bit scared because I didn't know if I was going to come out of this profound nothingness. Can you comment on that? Just downloaded the the files and I'm really impressed. This series seems deeper, richer and more clarifying than ever. I was feeling pretty tired today, and trying to muster the energy to continue talking to clients. I listened to deep euphoria for 10 minutes and felt a clear shift in my mood. If felt energised and ready for the day. Fantastic stuff! I listen to track 1 and had a very comfortable meditation with eyes closed focused on one word and I found myself in a deep state of openness for answers to be received. These states where very relaxing and I found wonderful for contemplative work. Throughout the day I felt mentally vibrant, not physical just mental. Which I still find and amazing side effect . . . I listened to track 3 and this time I let myself go where the music took me and I found that I fell fast asleep and boy what a good night's rest I had because I woke up in the morning ready for my day! Just buzzing with vitality. After using the product in this way consistently for 4 days I, now and then, without listening to the tracks, effortlessly fall into deep forms of contemplation, losing all sense of time, being very involved with my inner states of mind. Great product! I have to add that sounds are so soothing and very euphoric! I'm doing awesome since I started PMP and even better with DE on top. I've been on a get-myself-to-the-next-level-quest for a month or so before I started PM, and there are lots of physical and mental tweaks and workouts that probably play a role in this, but I haven't been on such a high level, mentally and emotionally, CONSTANTLY.....ever. I trust you received my previous comments on the Digital Euphoria. I did not use it over the weekend but used it again this morning, with headphones as a meditation, just track 1. Again pleasant effects all day, with high productivity in work and remaining motivated and energised. During the 20 minute session I noted tingling in my feet. If you are not completely impressed with Digital Euphoria, let us know within the first 90 days, and we’ll gladly give you a full refund.